The creators of Pirate Pay, a Perm-based start-up, say they can stop files from being illegally downloaded from torrent networks. 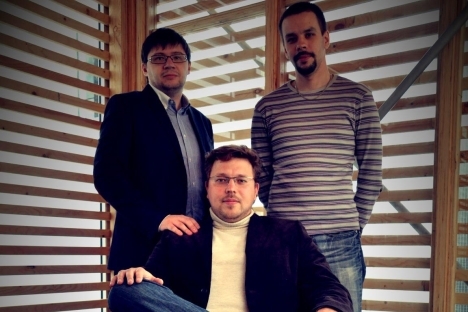 In 2009, brothers Andrei and Alexei Klimenko and their friend Dmitry Shuvaev created a file-sharing traffic management solution for an internet service provider (I.S.P.) network. Shortly thereafter, the three 20-something colleagues realized that the application they created had some unintended but potentially significant opportunities for intellectual property protection. Dmitry completed his studies at the Perm branch of Moscow’s Higher School of Economics in 2004, specializing in developing I.T. startups with an intention to sell them to major companies later. He later worked with a commercial design studio and a telecom company. “After creating the prototype, we realized we could more generally prevent files from being downloaded, which meant that the program had great promise in combating the spread of pirated content,” said Andrei Klimenko, now the C.E.O. of the company the founders named Pirate Pay. The technology prevents file sharing in torrent networks. These peer-to-peer (p2p) file sharing solutions allow large amounts of data to be transferred between individuals. After the first user uploads a file to an accessible network, the file does not live in any central location, but is accessible only from people who have already accessed it. In order to download a file, however, these secondary users must know the I.P. address of a computer that has the file. Without the information, the connection terminates and the file cannot be downloaded. Shuvaev and the Klimenko brothers found a way to prevent these secondary downloads from taking place even when the I.P. address is known. After earning a degree in physics at Perm State University, Alexei worked as an engineer before working in sales and management in the local telecom sector. Before Pirate Pay, he was involved with implementing over-the-top services for telecom clients. The partners quickly found that obtaining the financial support needed to refine the technology into a successful venture was not a simple task, but after taking part in many grant competitions, their efforts have begun to pay off. The Microsoft Seed Financing Fund has invested $100,000 dollars, the Bortnik Fund, which assists small innovative enterprises, contributed approximately $34,000. And, perhaps most significantly, the Skolkovo Innovation Center accepted the company as a resident, which will result in certain tax benefits as well as interaction with other innovators. The newly minted businessmen have been able to recruit four programmers, expanding their staff to seven people. “The underlying technology of Pirate Pay has no analogues in the world,” said Alexander Turkot, executive director of the Skolkovo Information Technologies Cluster, explaining the decision to accept the company as a resident. Potential residents at Skolkovo, Russia’s government-supported answer to Silicon Valley, are assessed according to several criteria, including scientific innovation and the prospect of commercialization. The problem of copyright infringement in Russia is extremely serious, and there is significant international pressure on the government to crack down on what is seen to be rampant piracy. Foreigners in Russia find they can obtain foreign films before their release dates in the United States. According to various estimates, filmmakers lose about $500 million a year to piracy. Hundreds of thousands of gigabytes of illegal content are downloaded every day through file sharing services, including computer software, music and films. Threatening Internet users with legal liability or appealing to their conscience has largely failed. And that is why the company has begun to attract attention outside Russia as well as at home. In December 2011 the film “Vysotsky. Thanks to God I’m Alive” came out in movie theaters, and for a month after its opening, Pirate Pay protected the film on torrent networks. Andrei was a physics teacher before joining a Perm-based telecom company as a sales manager in 2002. Three years later, he launched Perm’s first network of Wi-Fi hotspots. He also founded another local successful start-up before launching Pirate Pay. This company’s successful defense of the film brought in its first big payday. Company officials will not discuss exact earnings, but said that projects will cost clients between approximately $12,000 and $50,000 depending on the resources needed to mount a defense. In the next two years, the company plans to consolidate its place in the Russian market and gain a foothold internationally. They also hope that their presence at Skolkovo will assist in that growth.